To celebrate our 15th year in business, we are offering our complete eCommerce website package for only $1800*. That's an $800 savings. Full eCommerce package includes custom site design, logo design and complete e-Store development. Thanks Russ for getting us up and running. We love the site and are looking forward to a prosperous new year! Keep up the good work. 2011 marks the 15th year since our humble beginnings at Internet Design Concepts. Still the same owners and a nice fat portfolio - we must be doing something right. 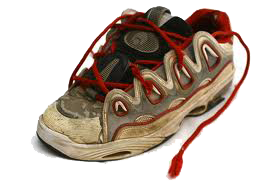 In 1996 we began web development for non-profits under Mercies.com. In 1998, we worked with 7th Time Music which officially launched our journey into e-Commerce development. I can't wait to see what the next 15 years hold for us. Just saw your anniversary. A month late. The next 15, I am certain will be fantastic. What is the first thing friends do when one of them has a new baby, or a death in the family, or job loss, or.. whatever major life-deal that doesn't normally happen every day? If the friends are worth t heir salt, the closest one will get the rest together and bring dinners for a few days while the friend going through the situation can recuperate. After all, when you're smack dab in the middle of a major life-changing event, it's hard enough to think about brushing your teeth, much less figuring out "what's for dinner?" So what is My Turn Meals? Another recipe website? Nope. My Turn Meals is a unique social site that brings together a network of friends during a life-changing event of one kind or another. 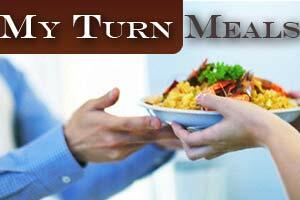 My Turn Meals takes the guesswork out of who is bringing what and when. Catchy name? I'm hoping so. I coordinate support for our church members in need, and this site was the answer to a prayer. It's a great way to get the word out fast that someone you know needs help with meals for themselves or family - which is one of the requests we get most often. It's easy, organized, and free! Spread the word!! Posted 2/17/2011 at 5:31 PMBy Tricia S.
Very cool idea. I hope it takes off. Posted 2/15/2011 at 9:23 AMBy Tom T.
Wow, what a great idea and awesome tool. I could have used this many times.